Clover | First Capital Business Solutions | First Capital offers merchants cost-effective credit card processing services that are fast, secure, and easy. Clover products have proven to be an excellent fit for thousands of merchants. Clover combines an attractive look and powerful performance features with outstanding business-management tools to help your business thrive. Clover offers five different configurations to meet the diverse needs of retail merchants. Clover has the right mix of POS hardware and software to meet your specific needs. High Performance Form and Function. 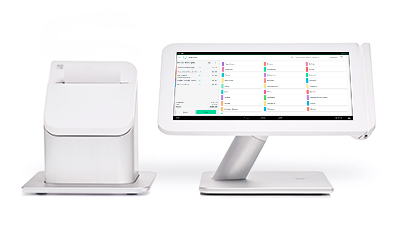 It’s Clover’s most powerful, productive countertop POS system. This all-in-one system is designed to help you simplify your business. Accept payments securely, track inventory, manage timesheets, run reports – everything’s right at your fingertips. Keep it clean – the sleek, swiveling, space-saving Clover Station makes you look good in front of your customers. Stay up when you’re down – Clover Station still works even when the Internet doesn’t. Get set up in no time – configured just the way you want it, and ready to take payments from customers right out of the box. 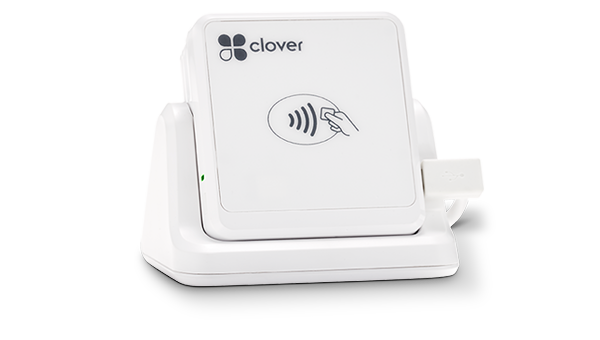 With Clover Mini you can accept chip cards, Apple Pay, and magnetic stripe cards right out of the box. You can also make transactions faster and more secure for merchants and consumers. It’s easy to customize as your business grows through a comprehensive selection of supporting downloadable apps to meet your evolving business needs. Small in stature only – the Clover Mini is powerful and sleek-and the lightweight footprint minimizes counter space. Hardware that scales – easily add more POS components and capabilities as needed. Software that multitasks – customize capabilities with apps for accounting, inventory, marketing, gift cards, and whatever else your business needs. Accepts all payments – accepts credit, debit, EMV chip cards, NFC payments, Apple Pay, Android Pay, gift cards, and cash. Scales as you grow – Clover Flex grows with you. 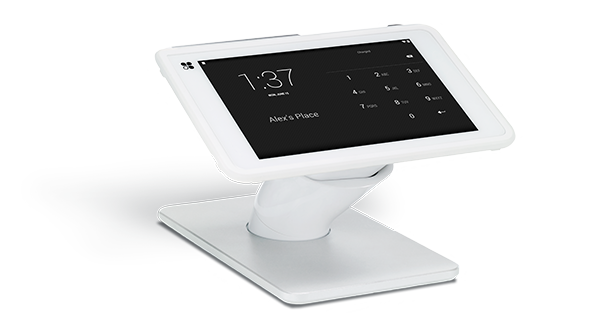 Enjoy inventory, employee, and customer-management capabilities, and run a full POS with a single compact device. While it offers many of the same payment capabilities and security features of other Clover devices, Clover Mobile puts your business in the palm of your hand. Beyond its mobile payment capabilities, it’ the complete business management system that lets you track inventory, manage employees, gain valuable customer insights, and more. Plus, it’s EMV enabled for safe, secure transactions. Take your business where you need it to go – tableside, deliveries, at the counter, with a client, at an event – Clover Mobile goes with you. 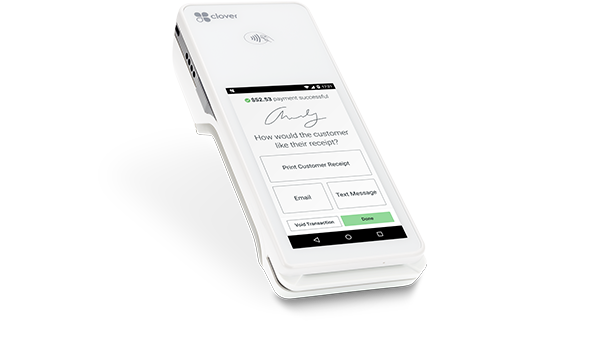 So whether you’re running around your store or tend to take matters into the field, the Clover Go Contactless Reader is your go-to POS for secure credit card swipes, dips, and taps like Apple Pay®, Samsung Pay™ and Android Pay™. It also offers many of the same industrial-strength payment capabilities and security as our larger Clover devices. Just provide your own smartphone or tablet and a free hand. Tap. Swipe. Dip. Repeat. – no matter how they pay – EMV® chip, swipe, or with mobile device – Clover Go can process it. 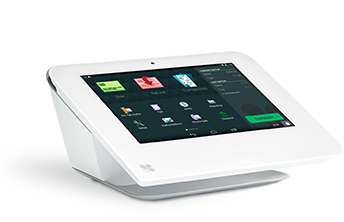 Always connected – works together with other Clover devices – open an order from any other Clover POS and close it out from another.